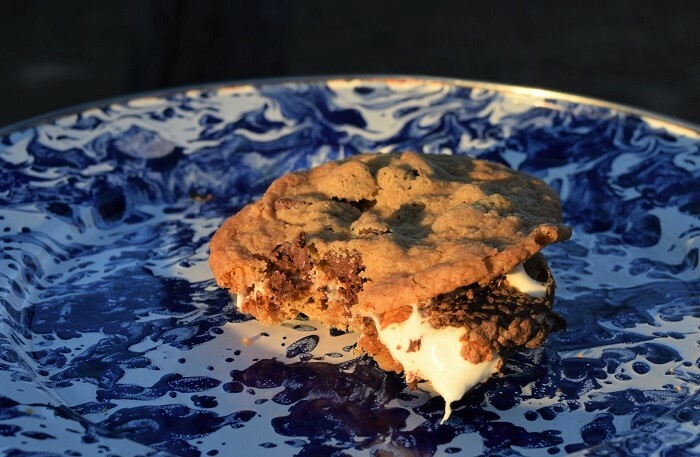 This weekend while camping with friends in Bastrop State Park I tried chocolate chip cookie s’mores for the first time ever and my mind was blown. How I never thought to try this delicious combination before, I don’t know, but my after-dinner s’more ritual will never be the same. They were seriously so good! My previous favorite, Fudge Stripe S’mores, still comes in at #2 in my favorite s’mores of all time list but these win the top spot. The cookies were home made. Need I say more. The cookies were thin. Having a thin cookie kept the cookie-to-marshmallow proportion just right, so the cookies didn’t overpower the marshmallow. Making the perfect s’more is an art! So good it should be illegal. PS. In order to get these pictures for the blog, I have to make my s’mores in daylight, which means eating them before I’ve actually had any dinner. It’s the cross I must bear. 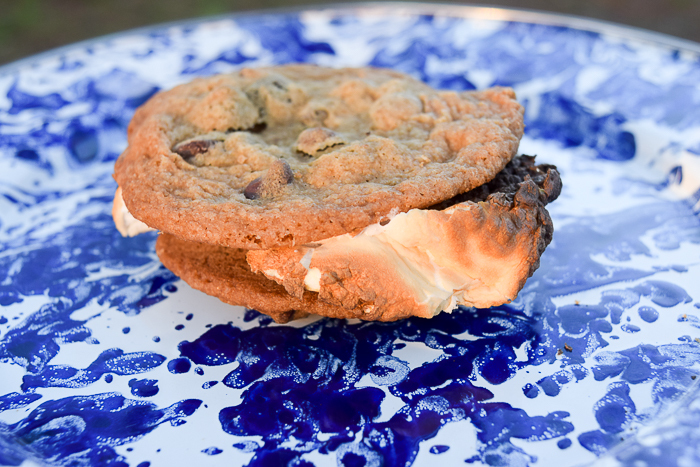 No Replies to "Chocolate Chip Cookie S'mores"